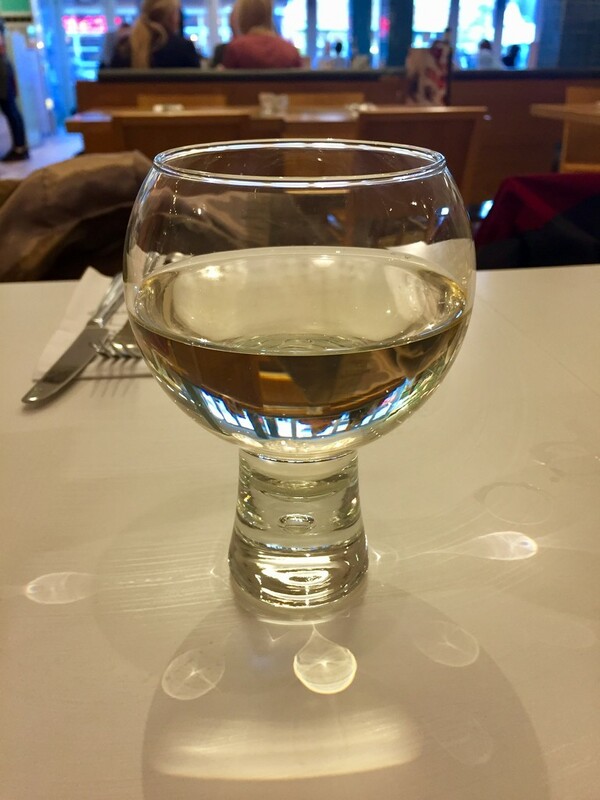 My glass of wine when we were in an Italian restaurant last night. I liked the reflections cast from the lighting above. What a posh glass - half full or half empty ? Lovely reflections in the glass and on the table cloth - - Hope you had lovely time ! That is a lovely glass and I too like the reflections.